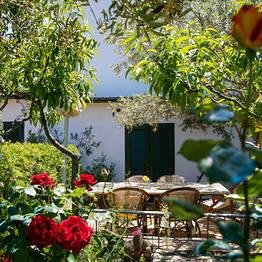 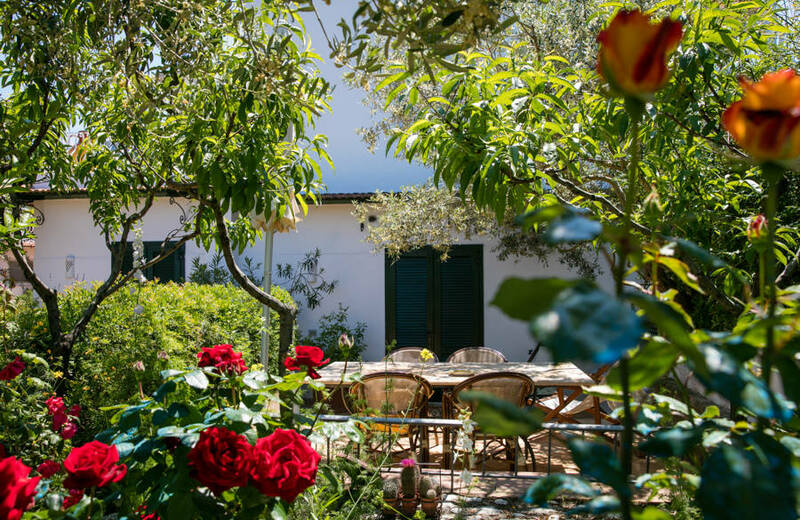 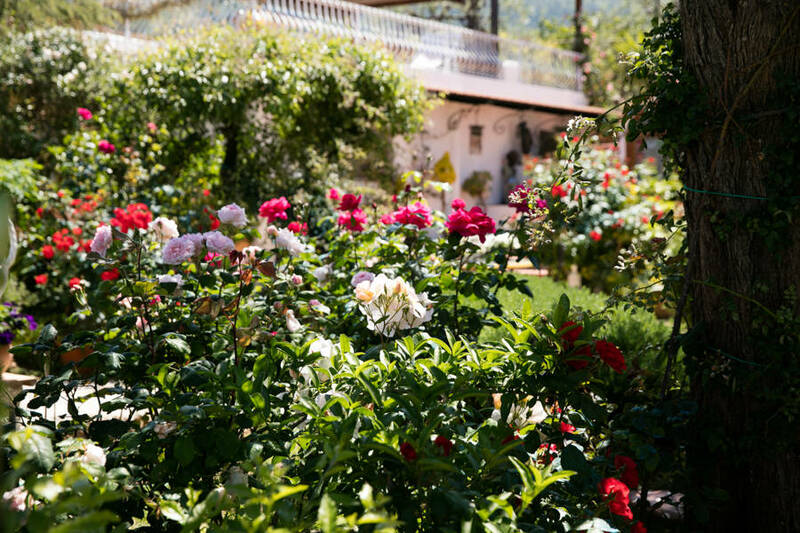 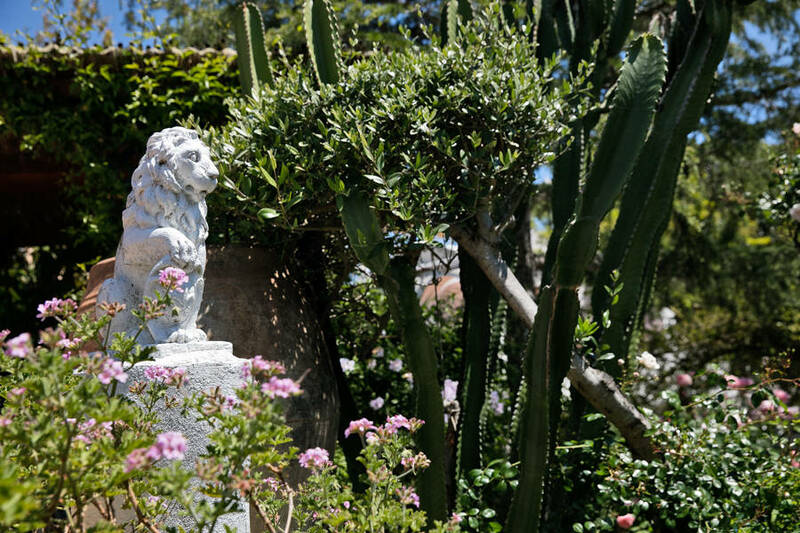 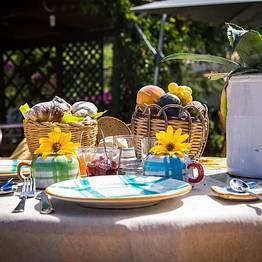 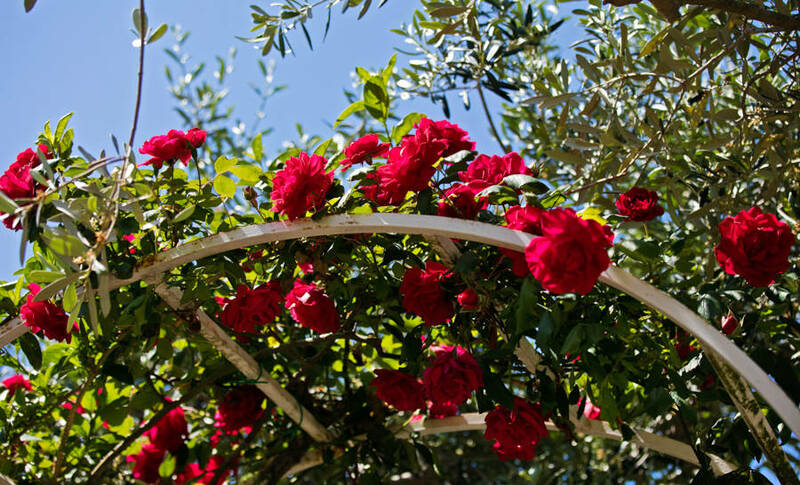 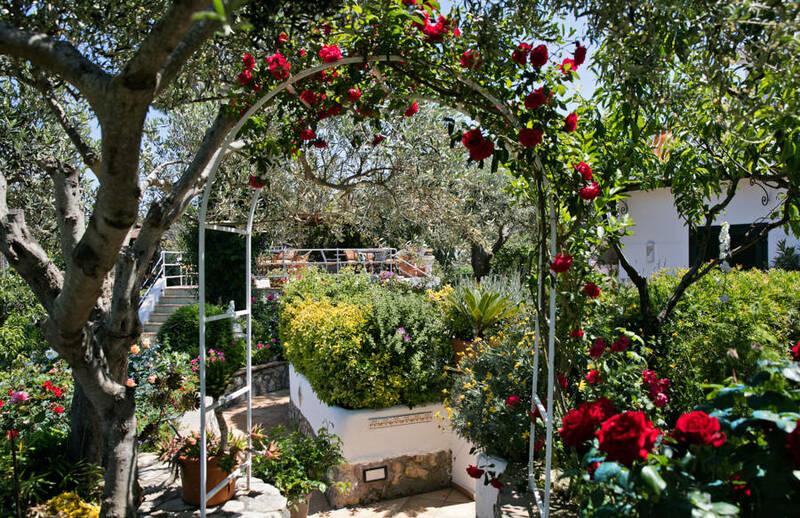 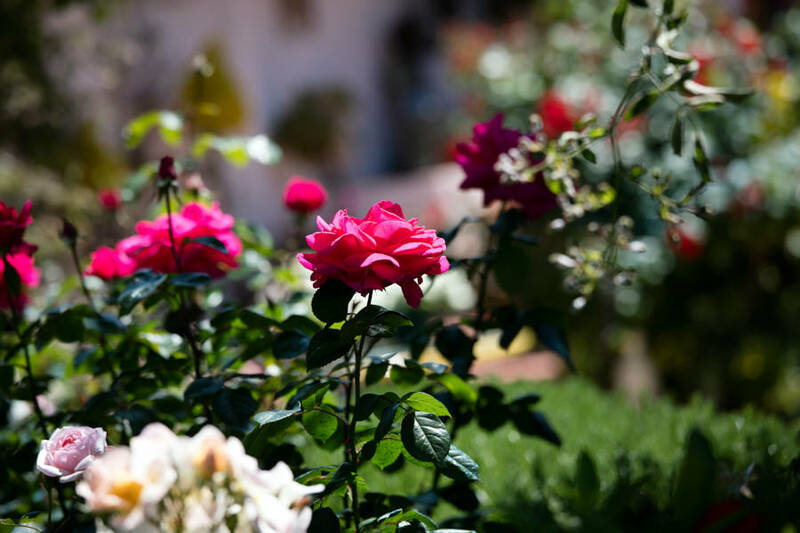 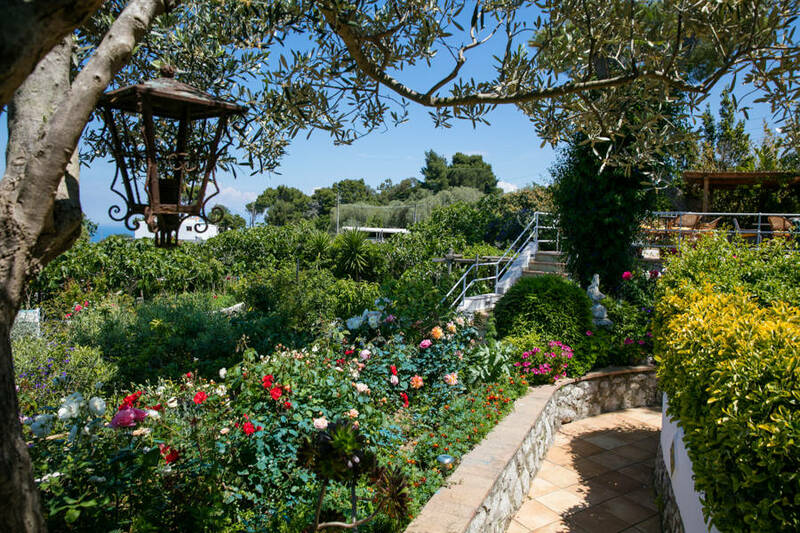 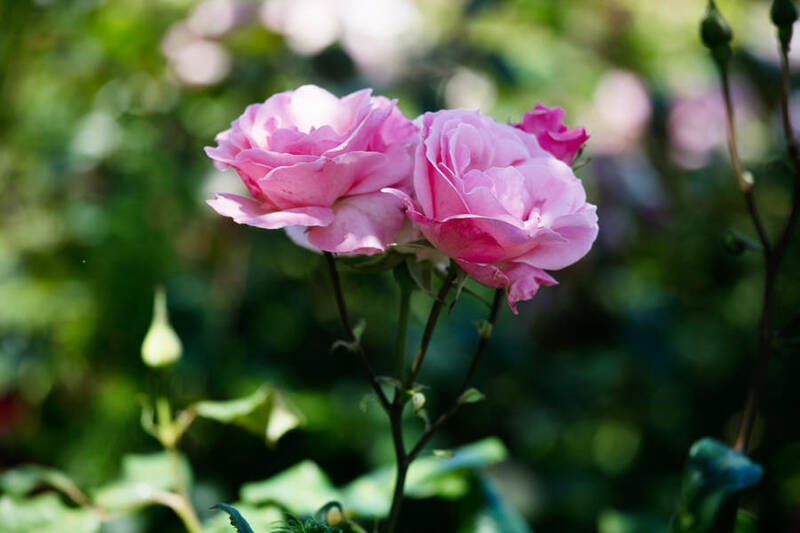 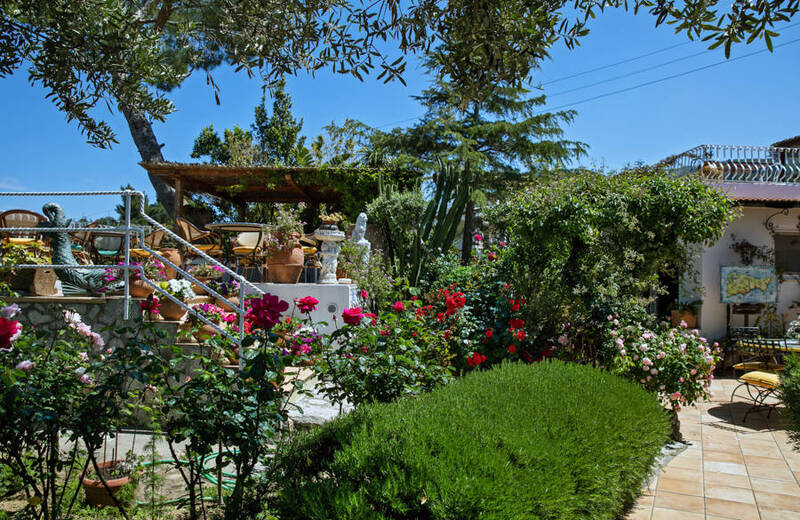 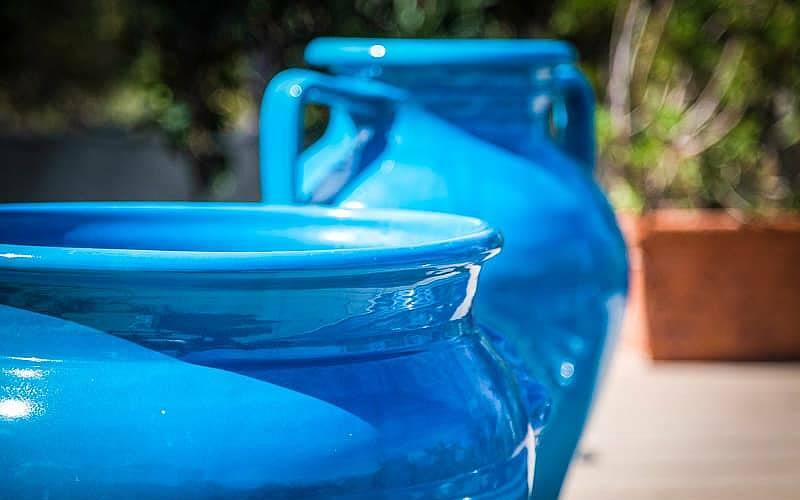 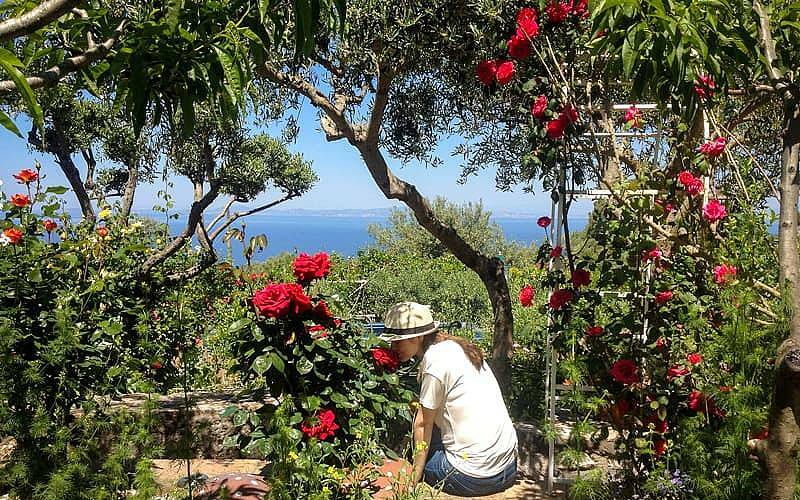 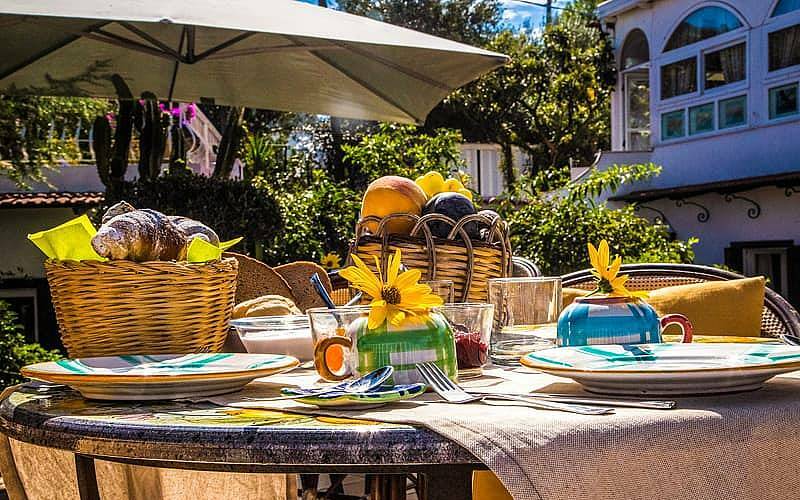 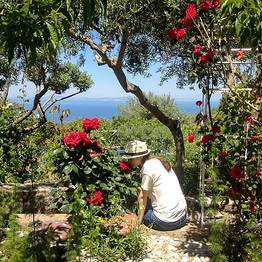 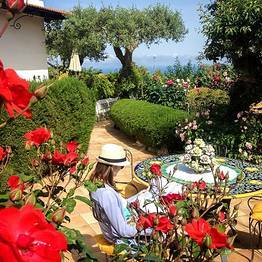 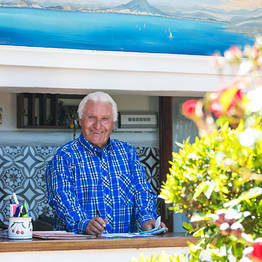 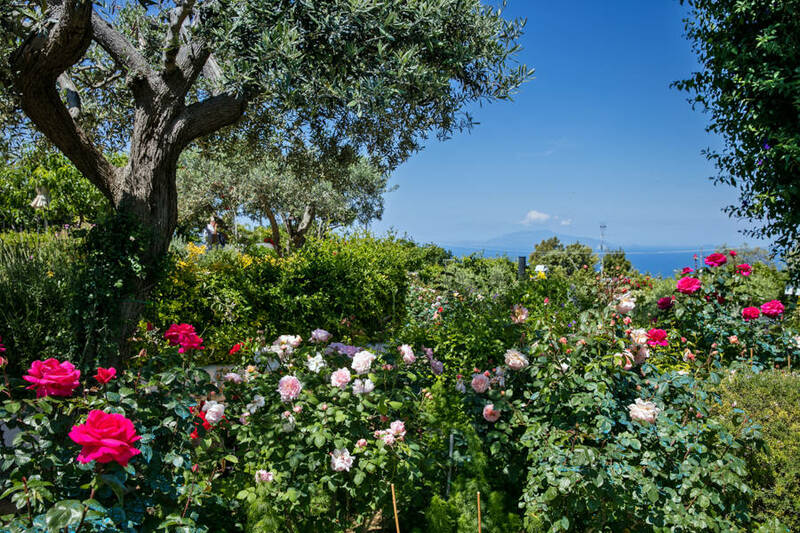 Il Giardino dell'Arte Capri: 3 reasons to book here | Capri Booking. 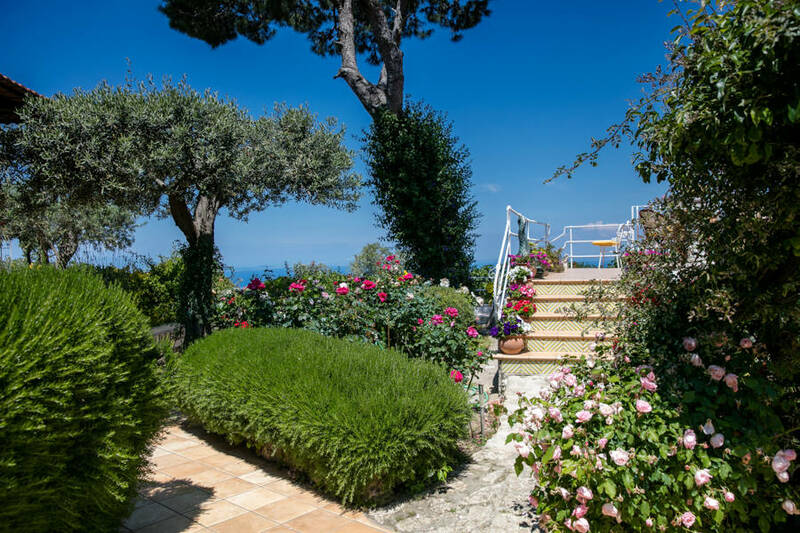 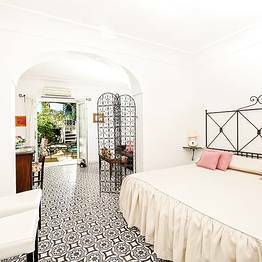 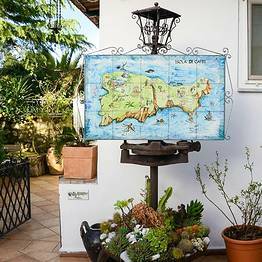 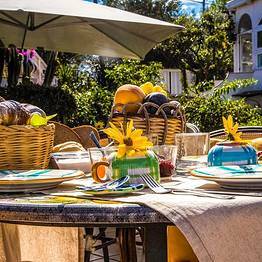 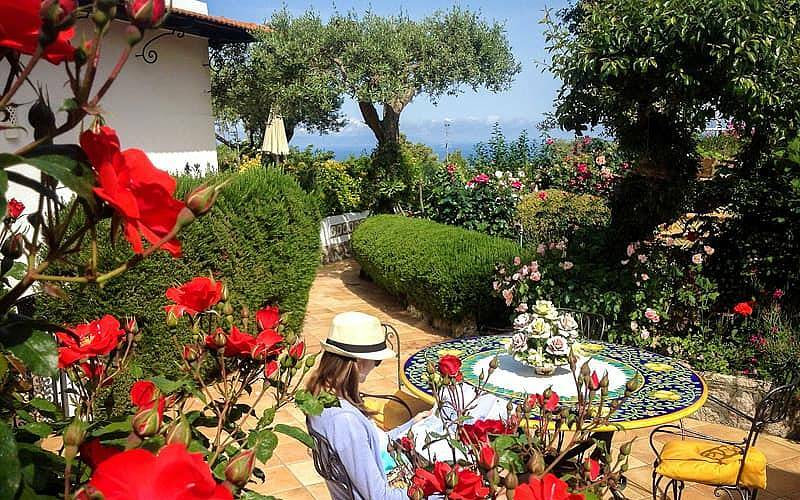 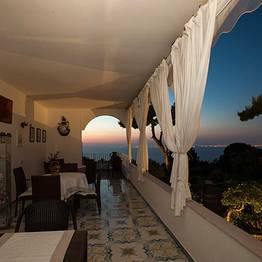 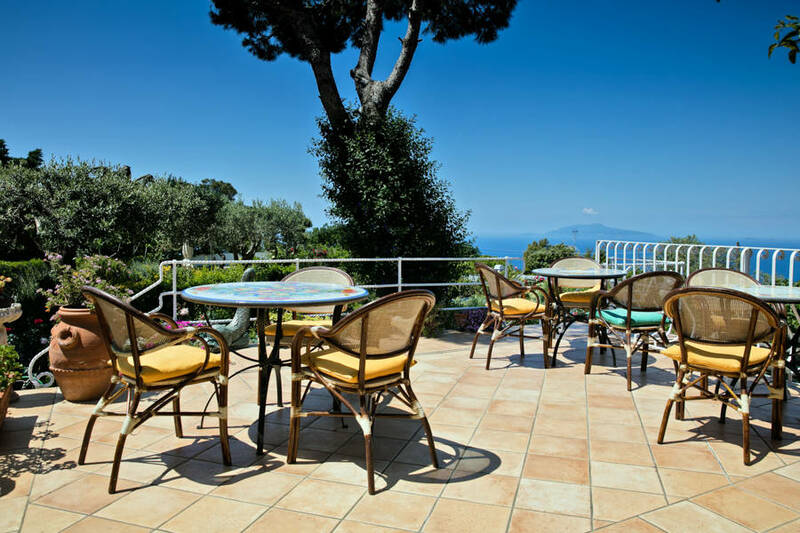 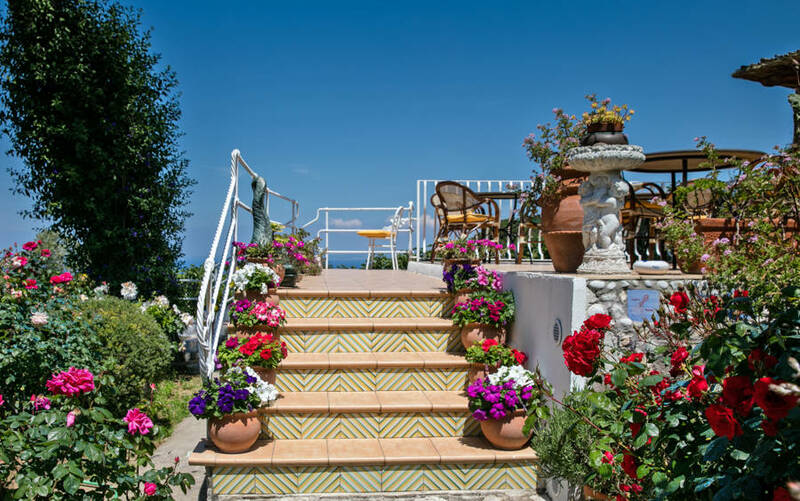 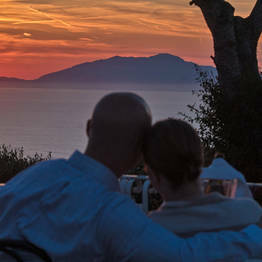 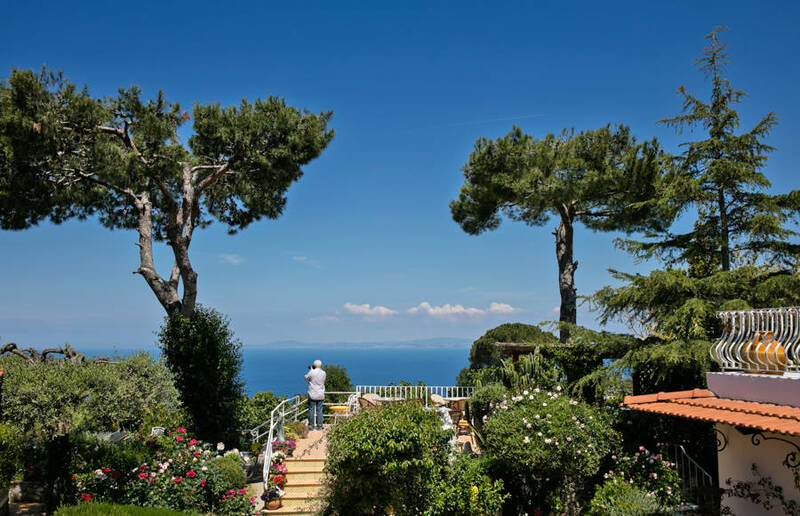 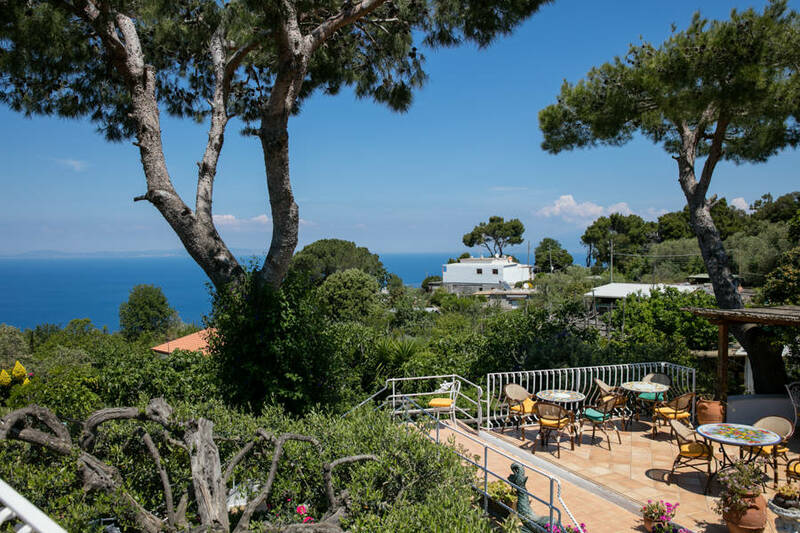 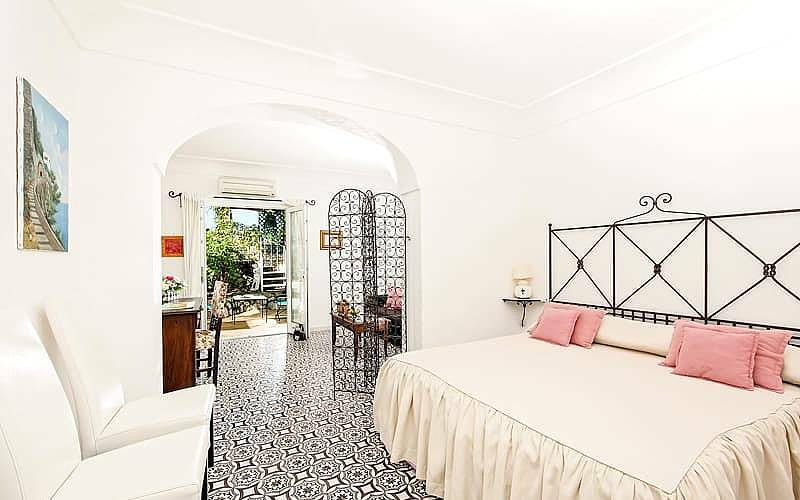 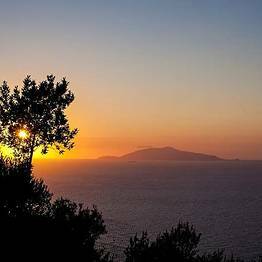 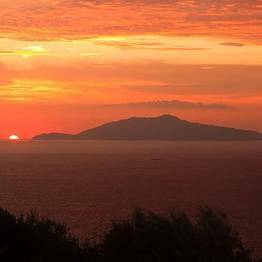 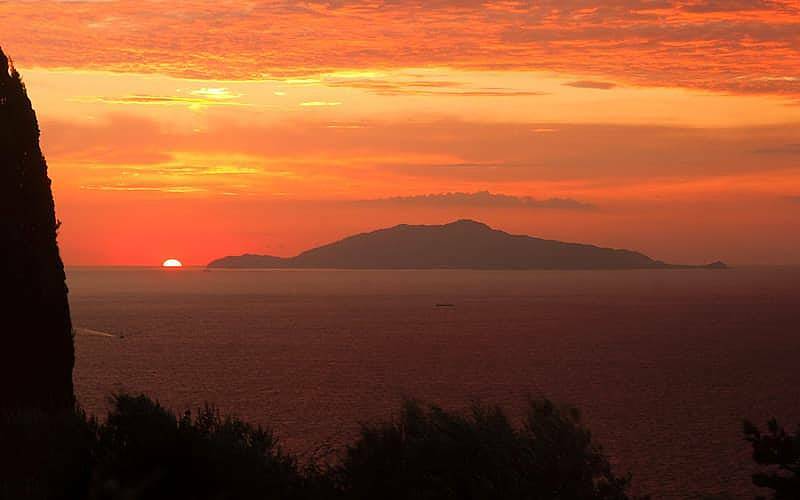 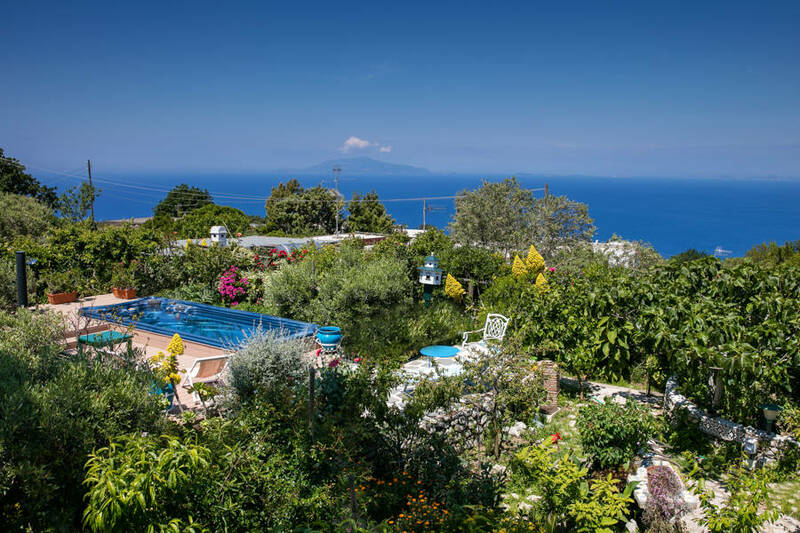 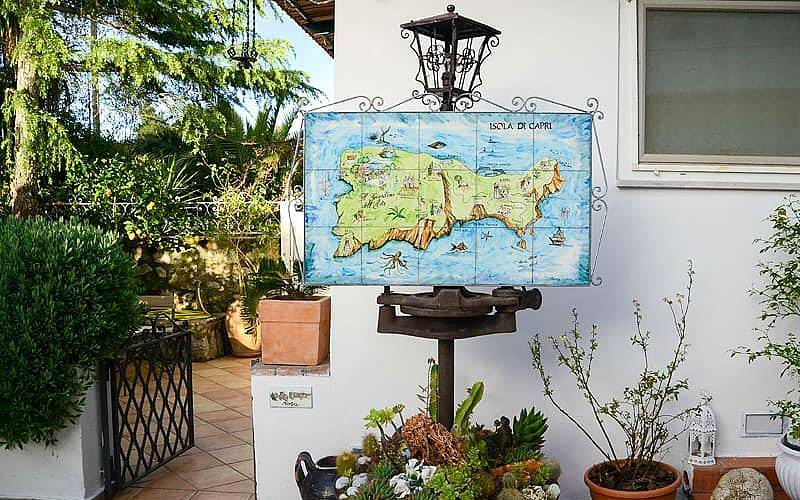 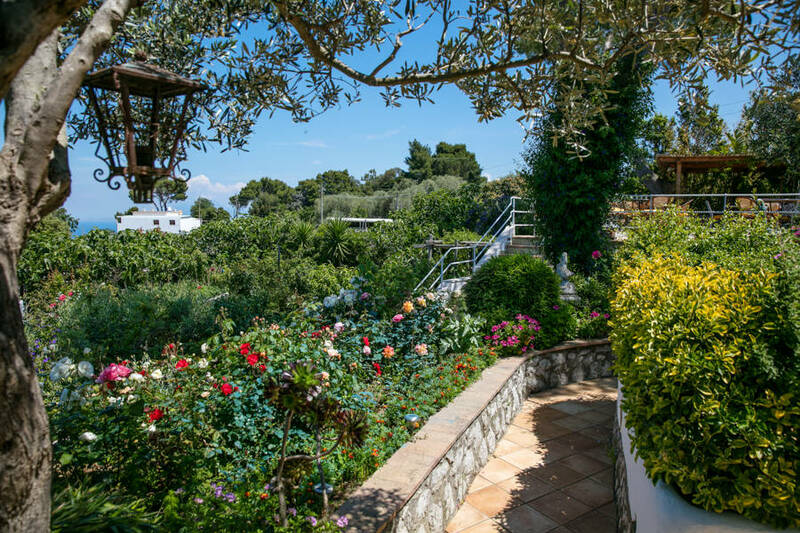 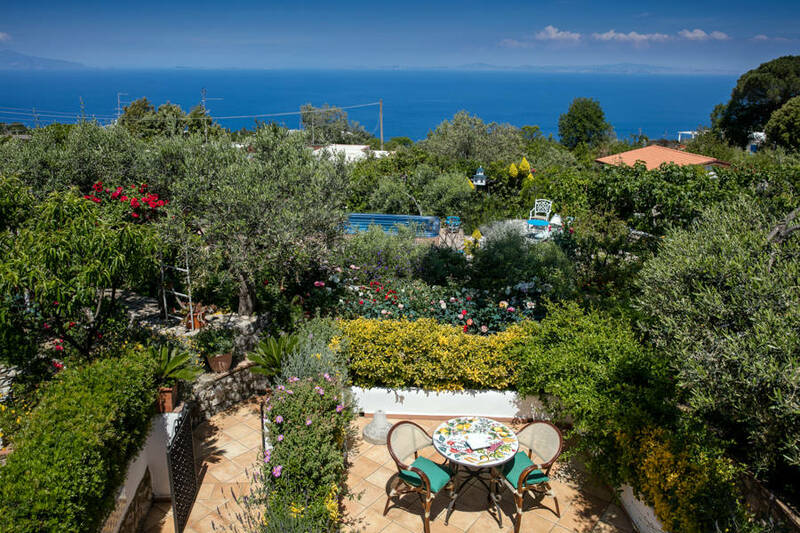 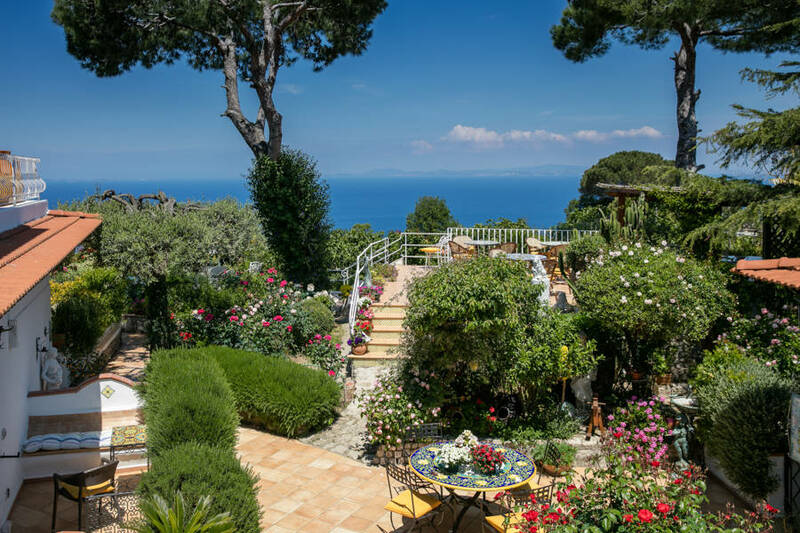 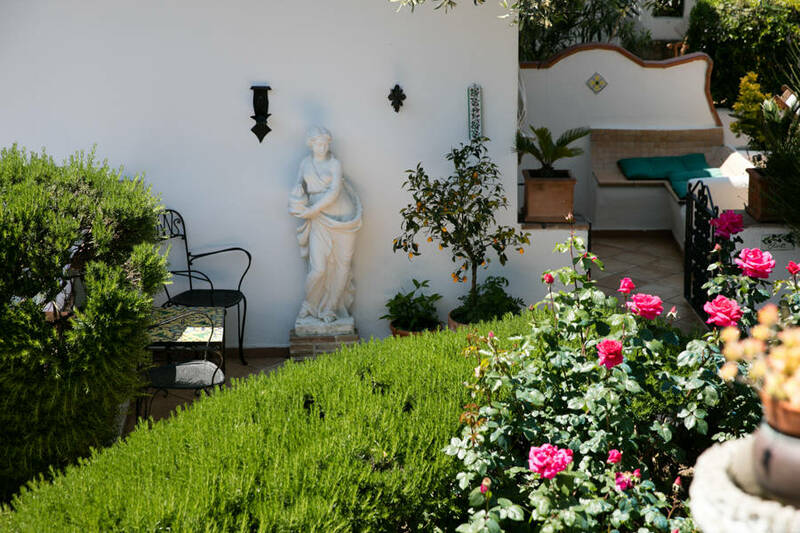 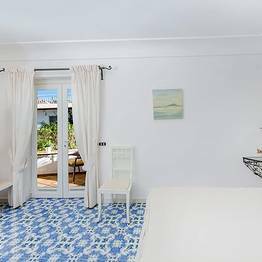 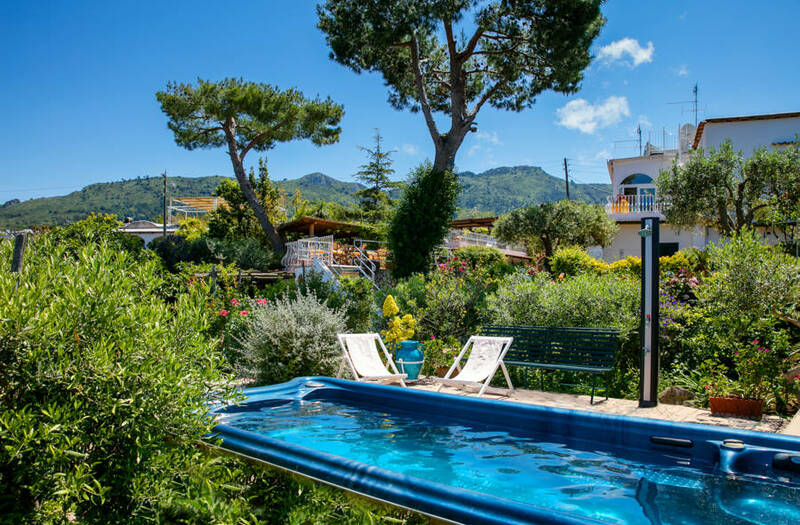 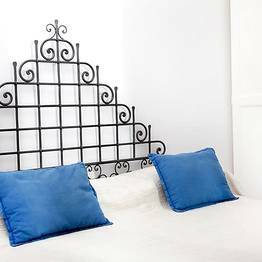 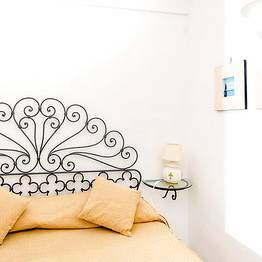 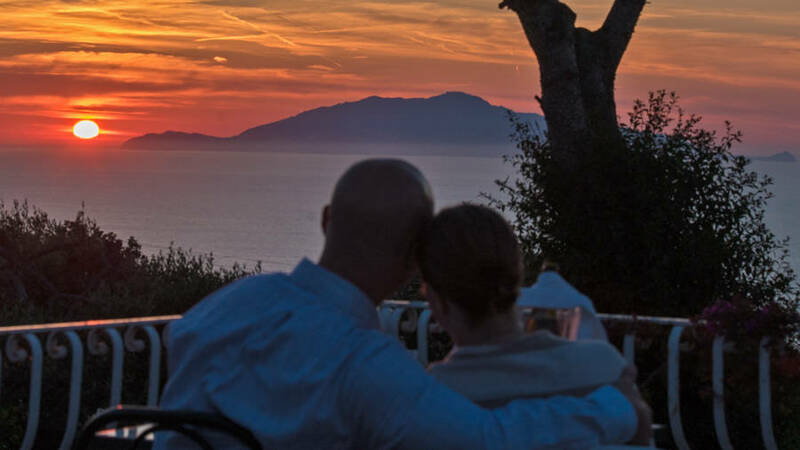 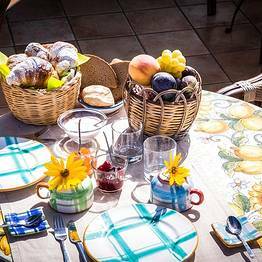 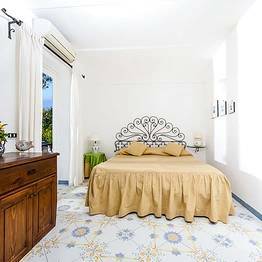 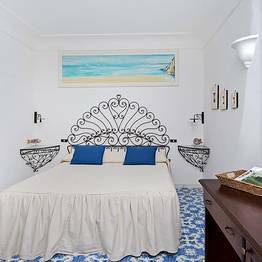 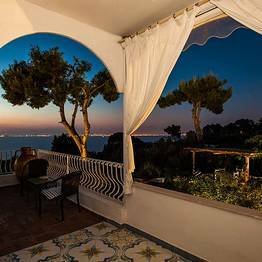 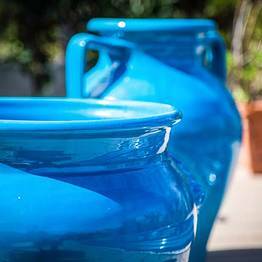 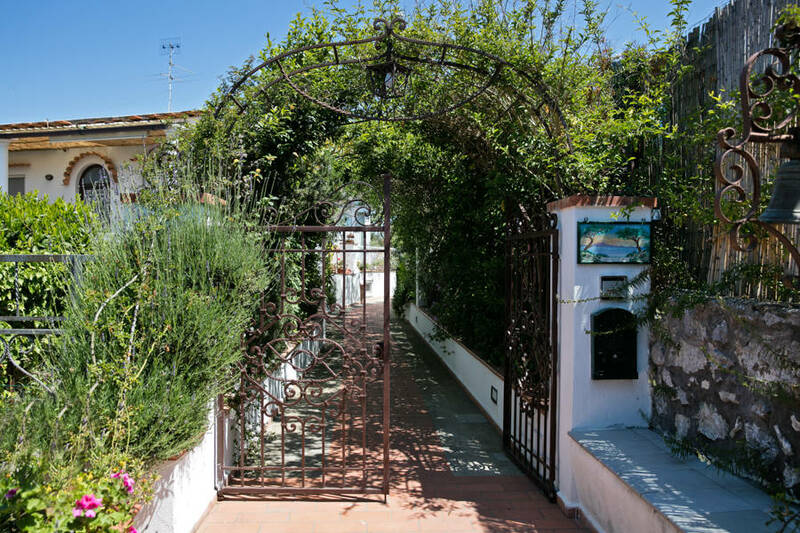 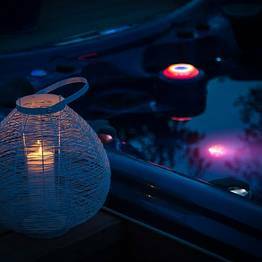 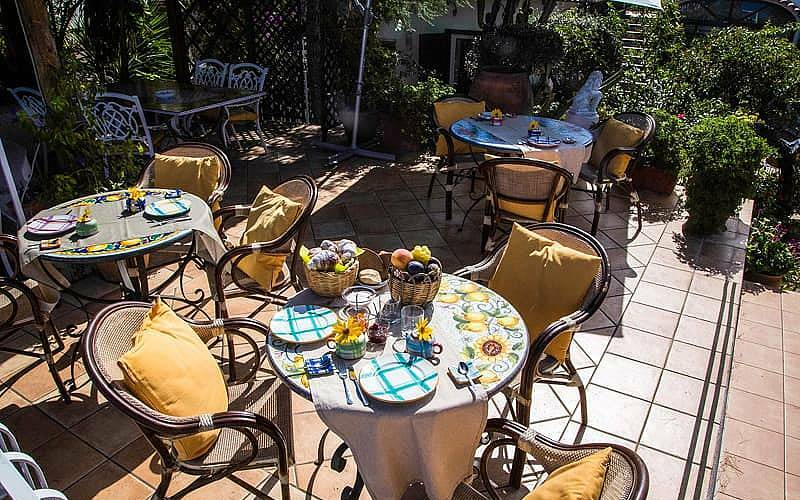 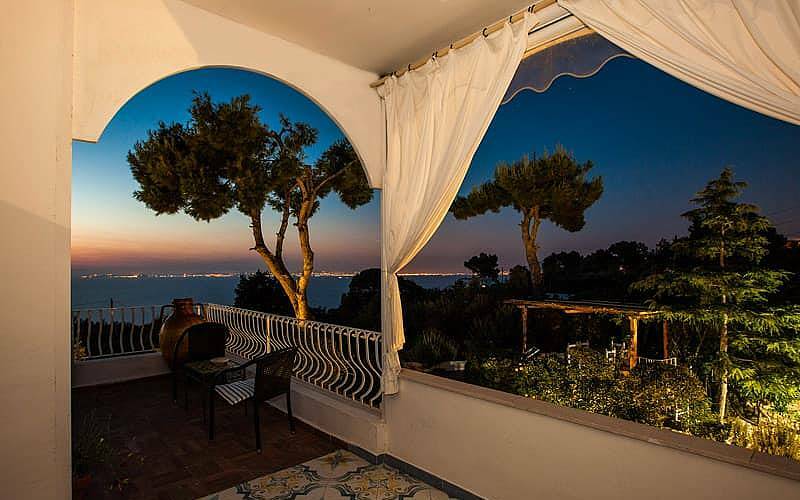 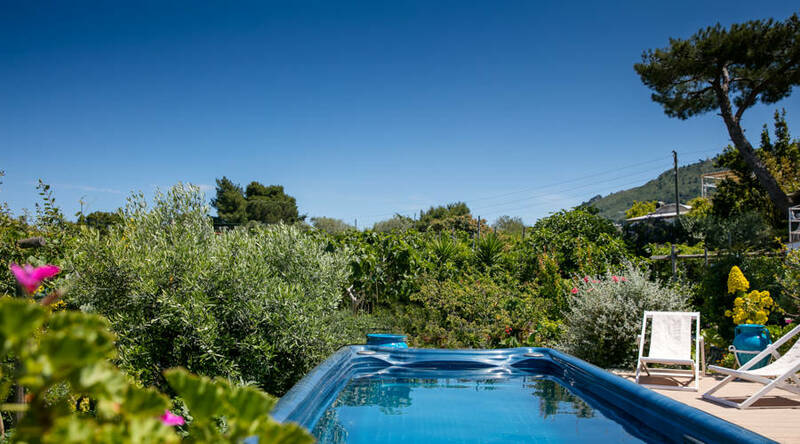 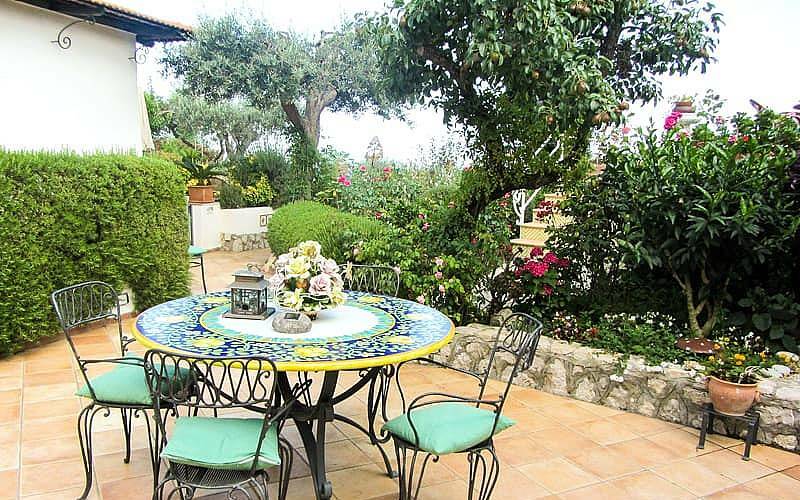 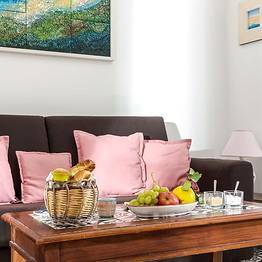 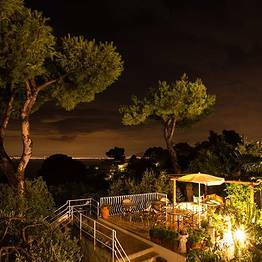 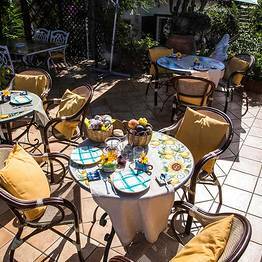 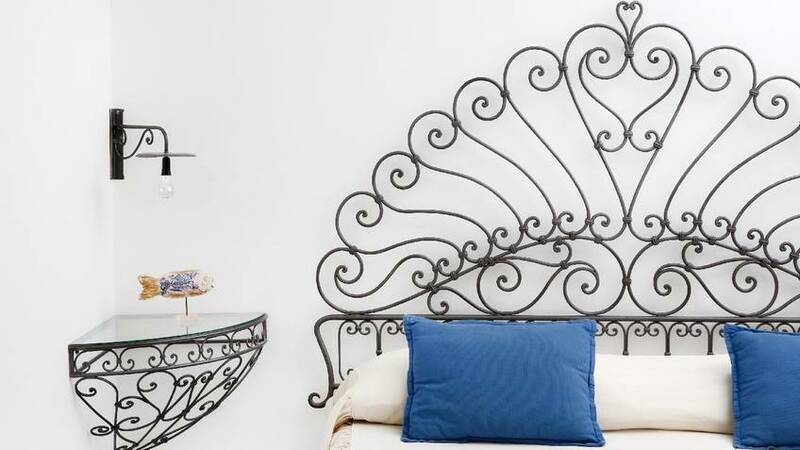 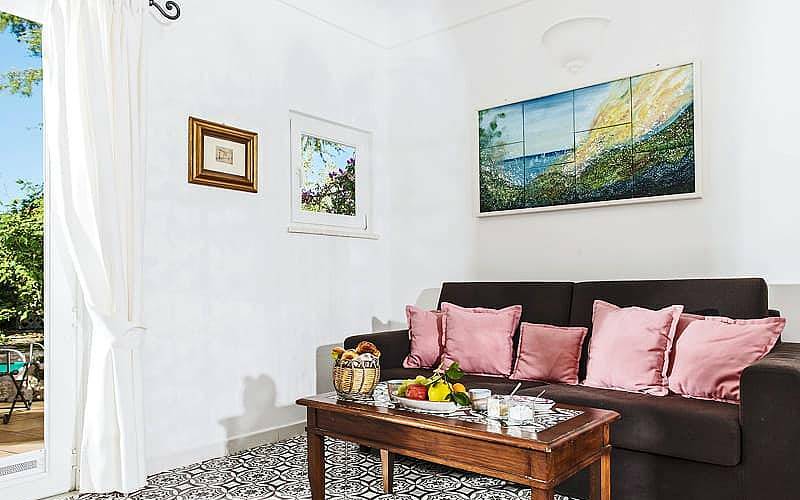 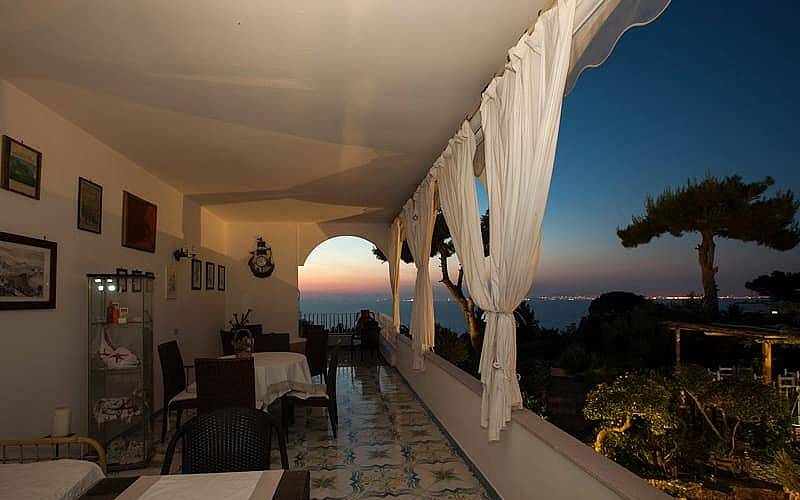 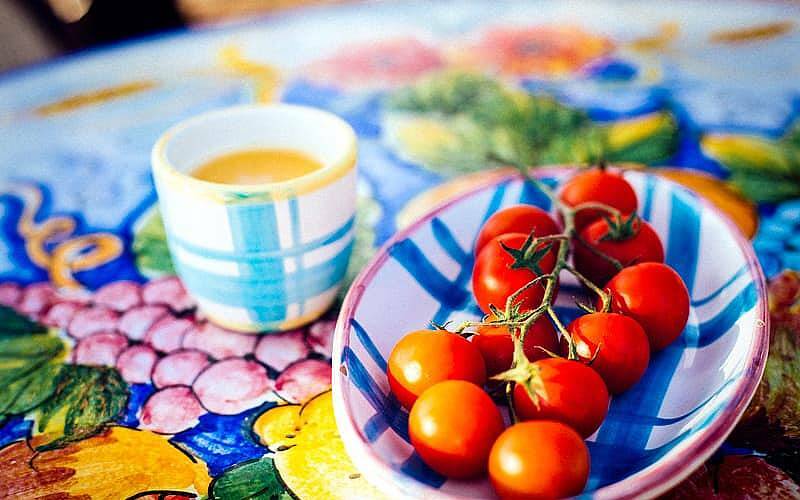 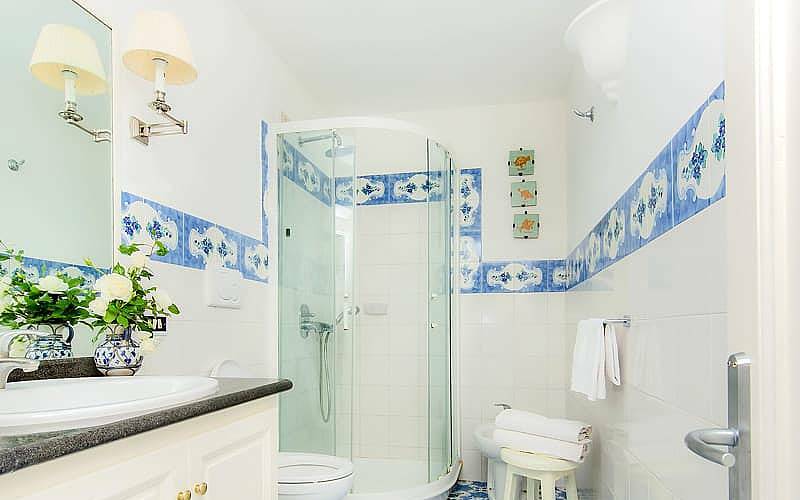 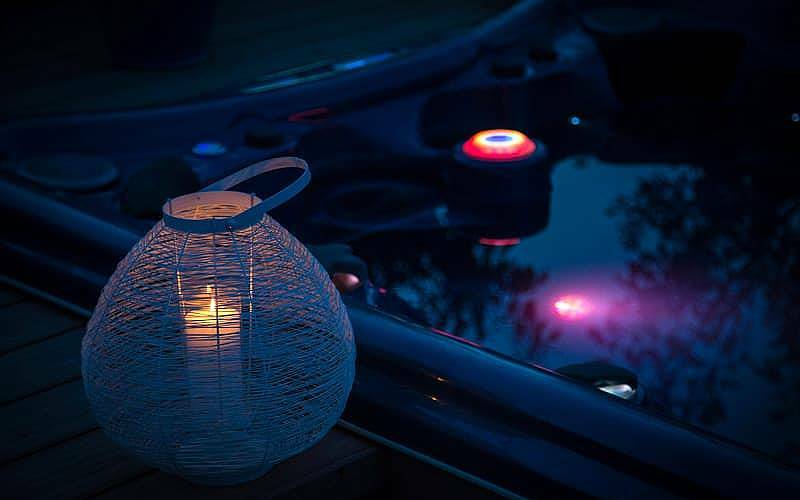 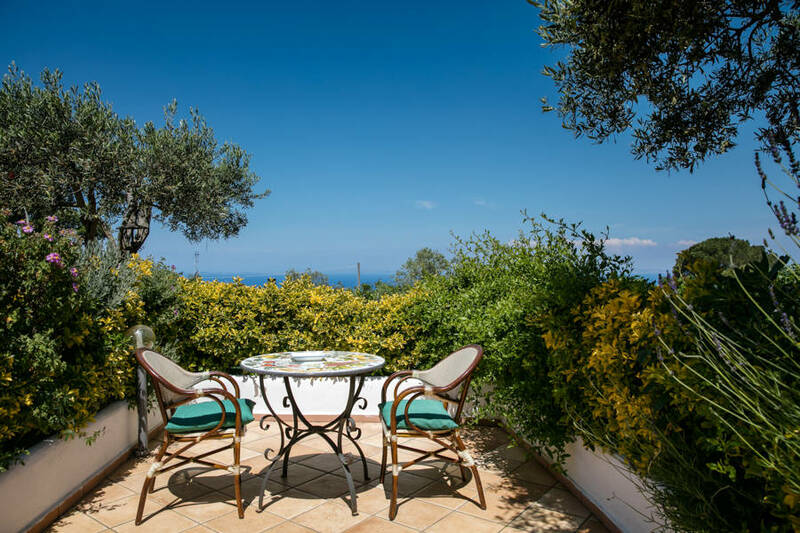 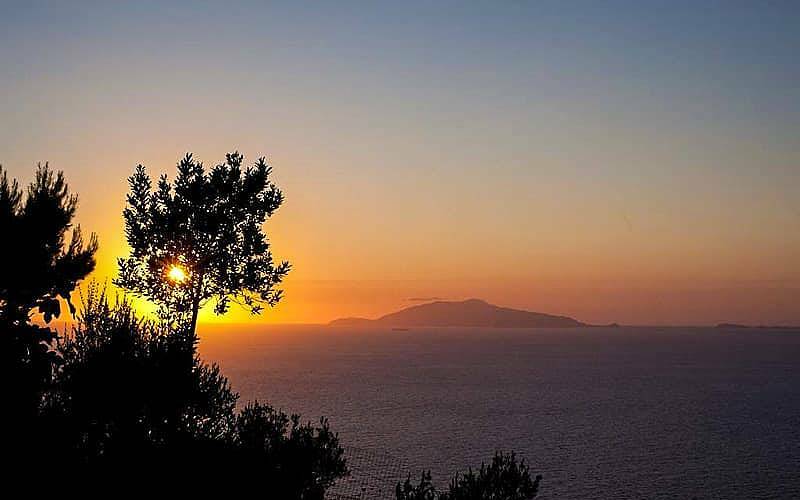 Il Giardino dell'Arte a "charming B&B in the quiet town of Anacapri, Italy which will delight you with its simple elegance'', spectacular views over the Mediterranean Sea surrounding Capri, lush garden, and warm family atmosphere. 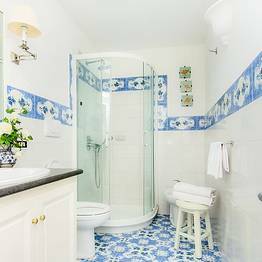 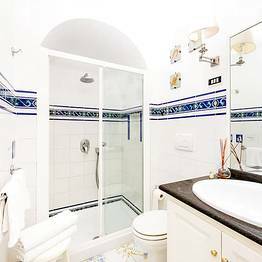 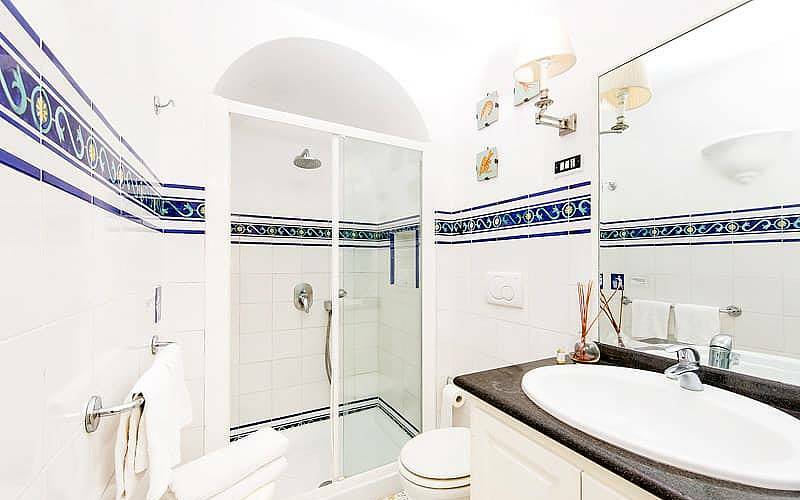 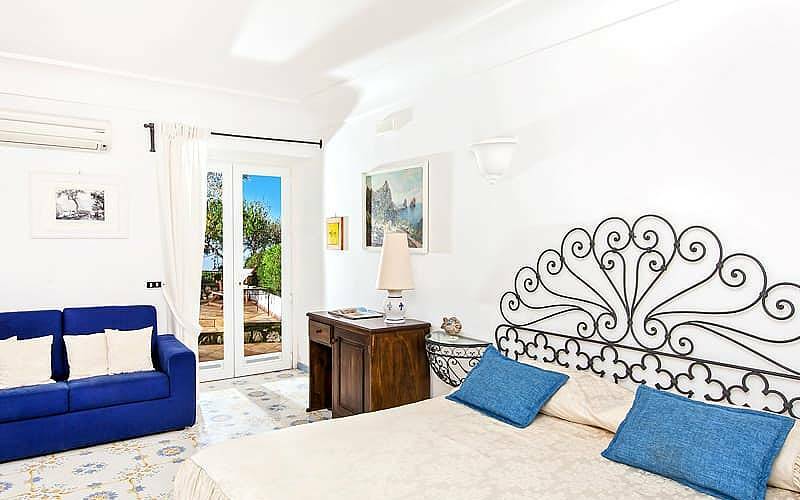 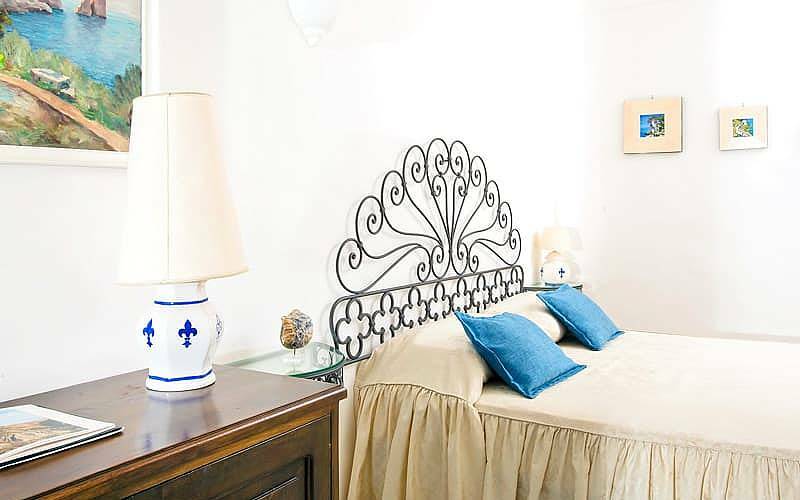 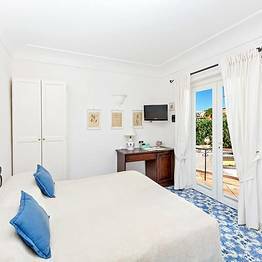 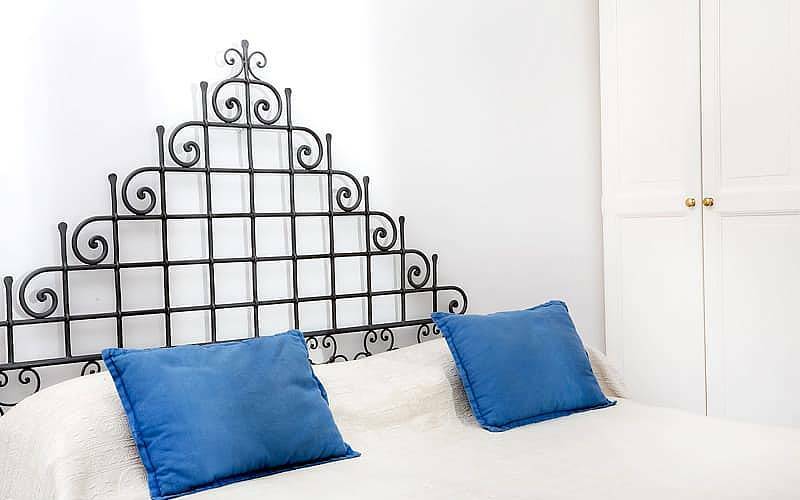 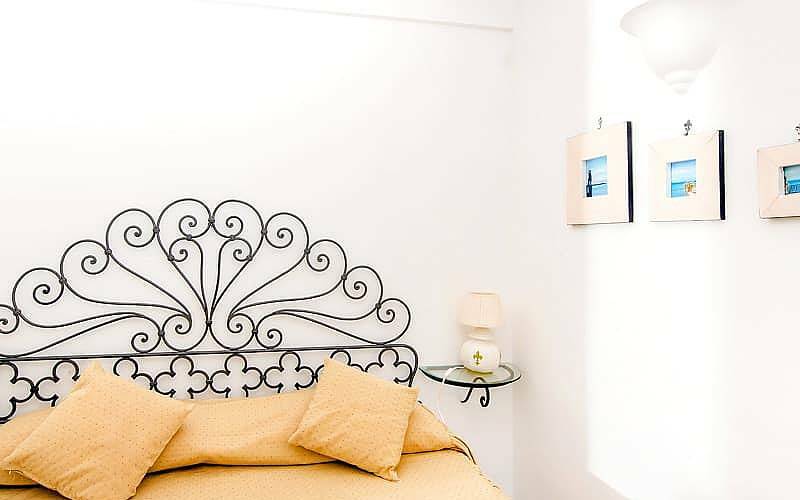 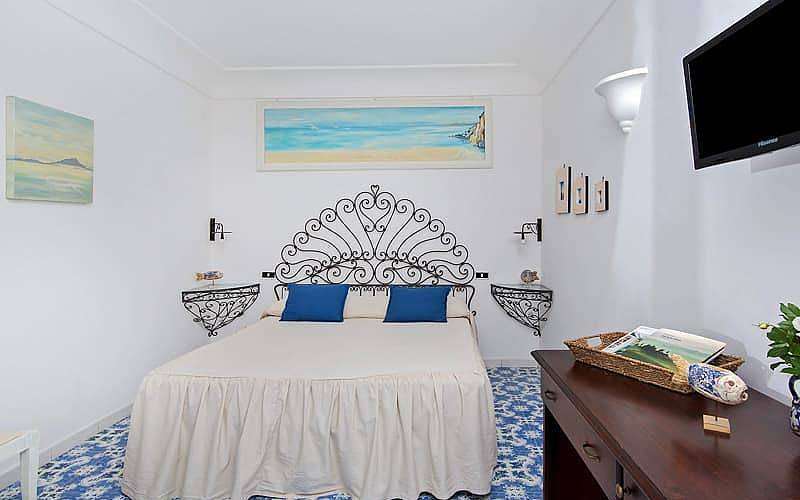 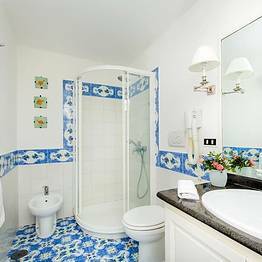 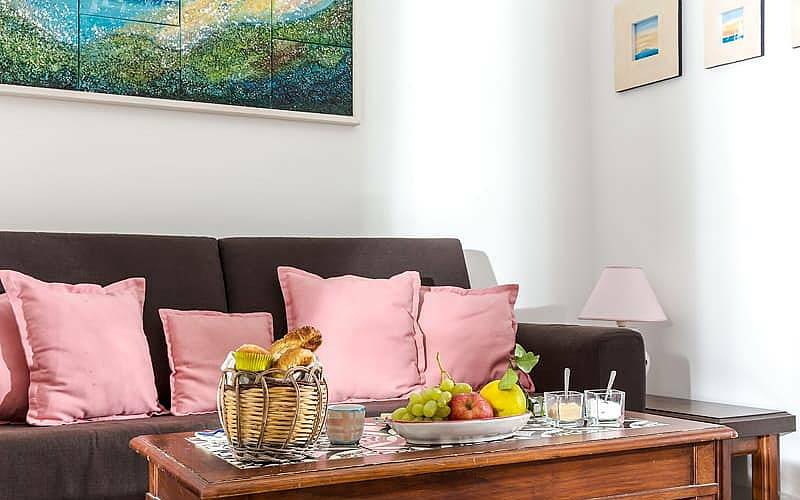 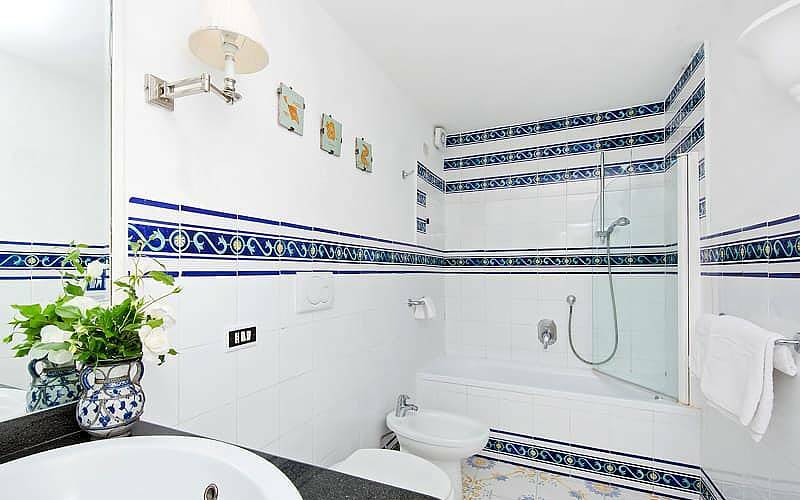 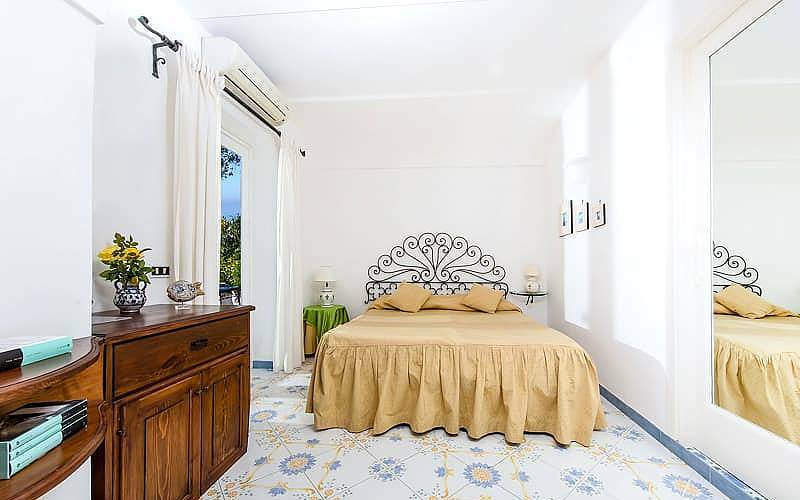 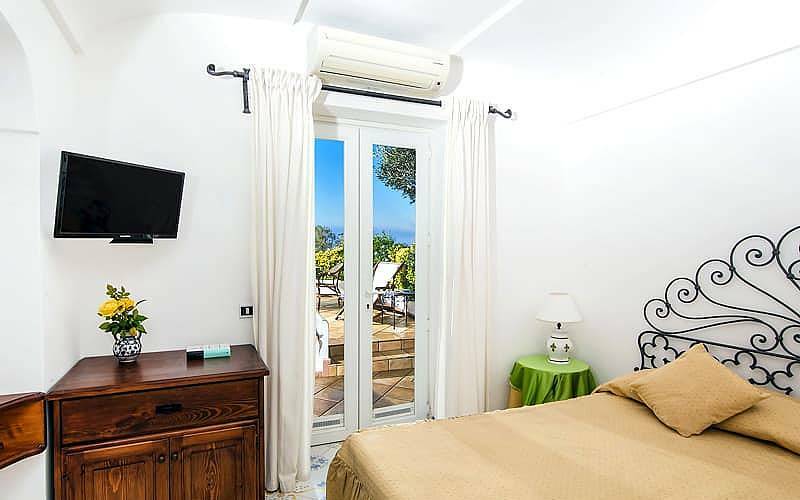 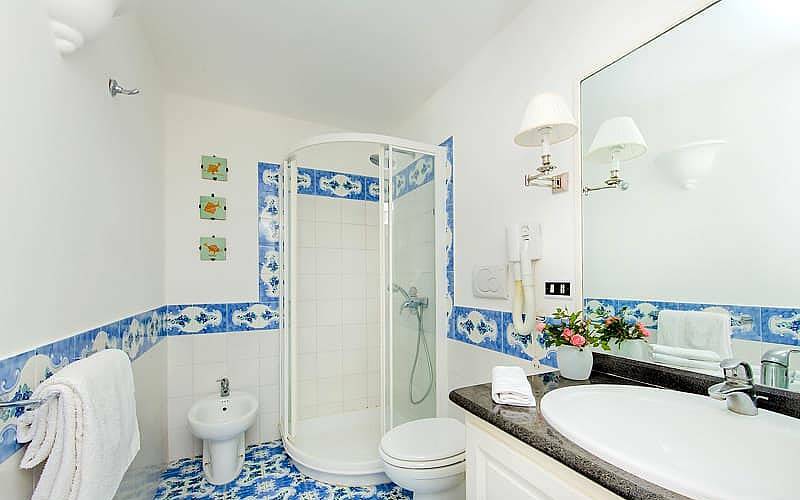 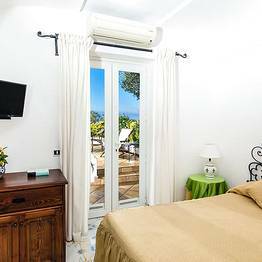 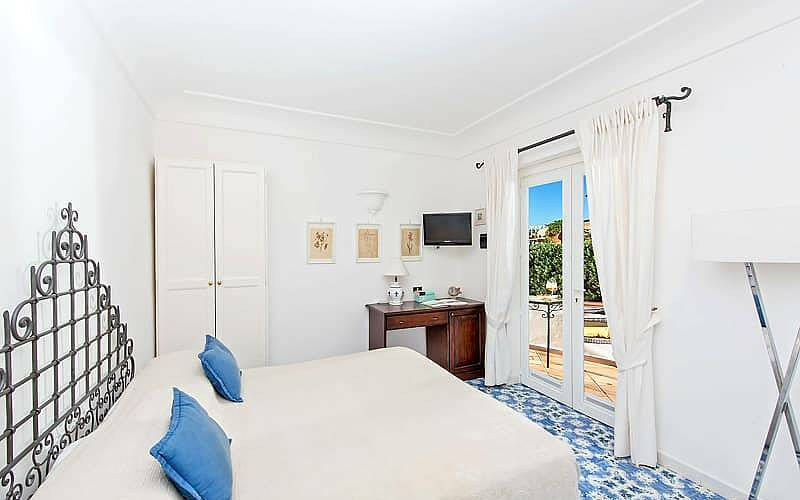 The 5 guest rooms at Giardino dell'Arte are, in truth, small, comfortable suites with understated Mediterranean-style decor and the most welcome amenities, including air conditioning, satellite tv, and wifi. 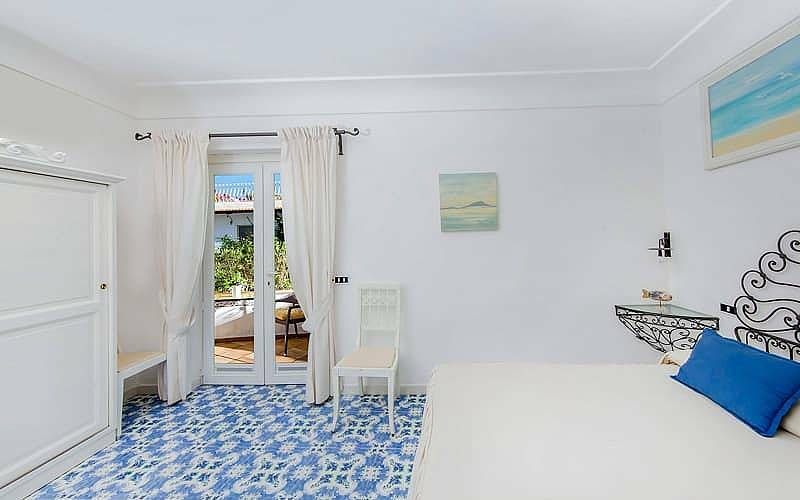 Each room features its own private terrace so guests can savor the spectacular view of the sun setting over the waves in complete privacy, or relax in the cool sea breeze each afternoon after visiting the island. 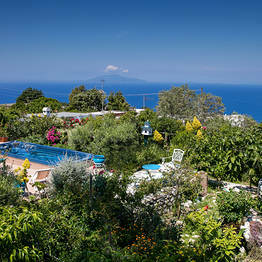 The deep blue waters stretch to the horizon, with the island of Ischia in the distance past the lush countryside surrounding Anacapri: this is the view from each terrace, a unique postcard of the island of Capri that has enchanted visitors for centuries. 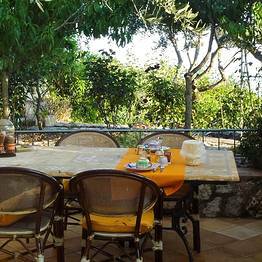 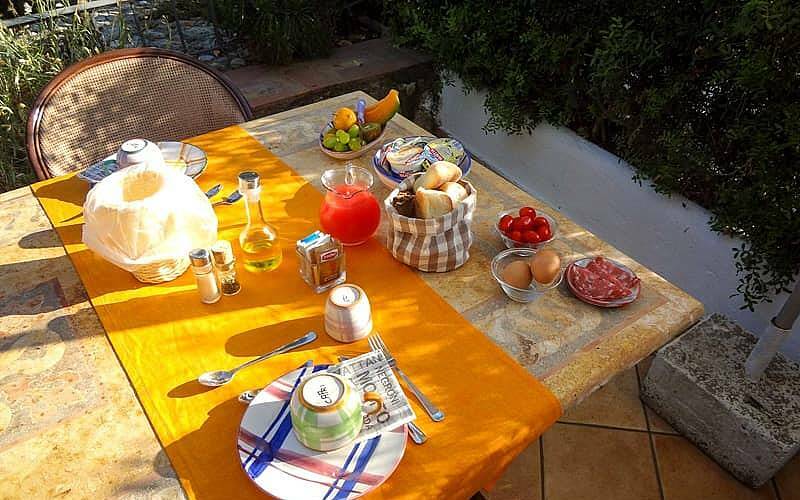 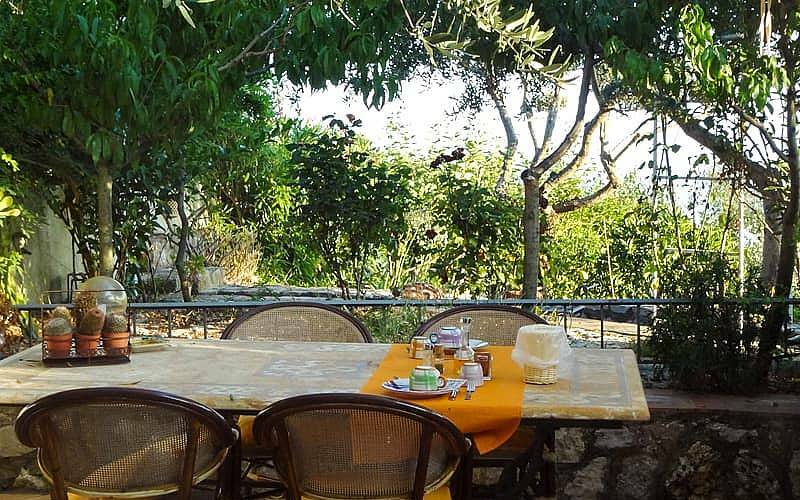 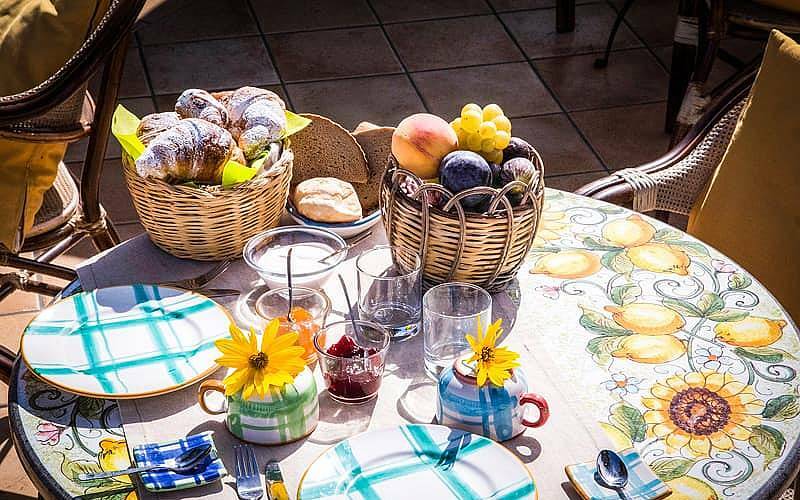 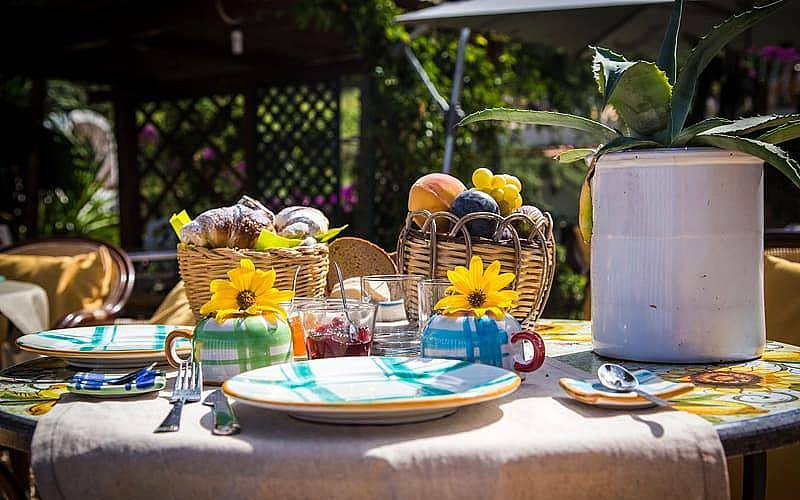 Breakfast is served each morning in the shady garden surrounded by flowering citrus trees, and each afternoon guests gather to rest after a day of touring and enjoy the sun setting over the sea. 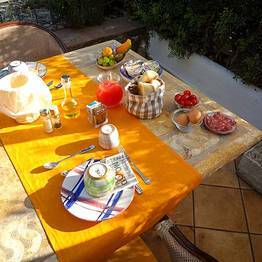 The B&B can provide gluten free breakfast items for celiacs if notified in advance! 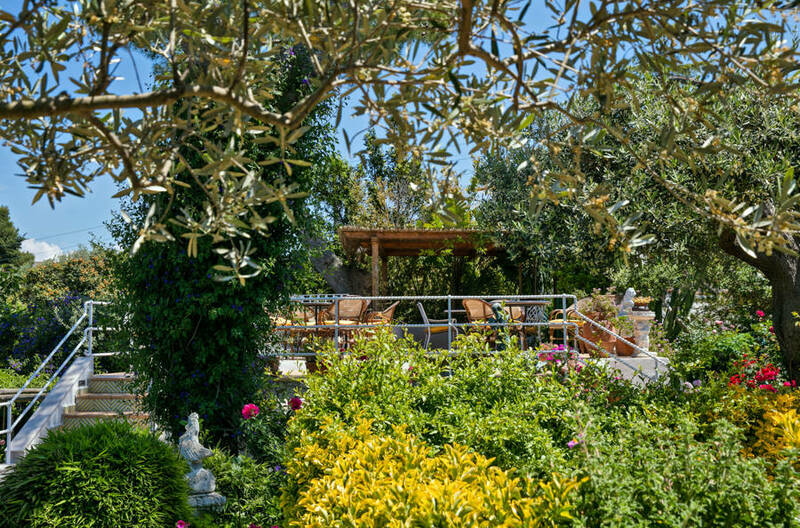 The shady garden surrounding the guest houseis an exclusive oasis where guests can appreciate the silence of Anacapri after a day at the beach or exploring the most beautiful sights on the island of Capri. 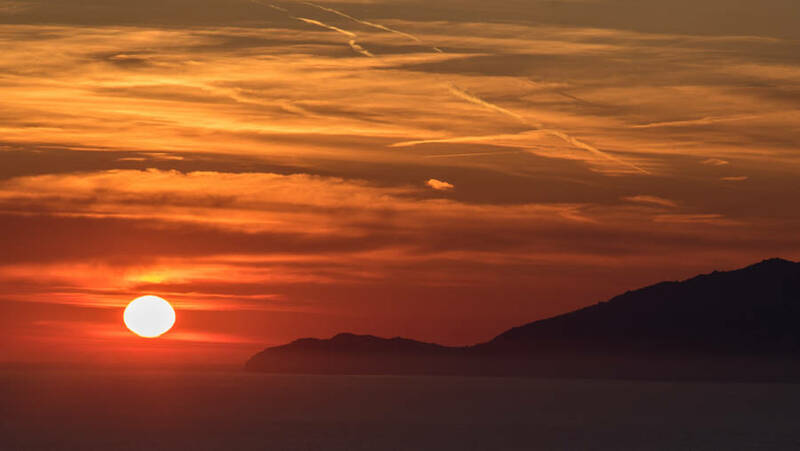 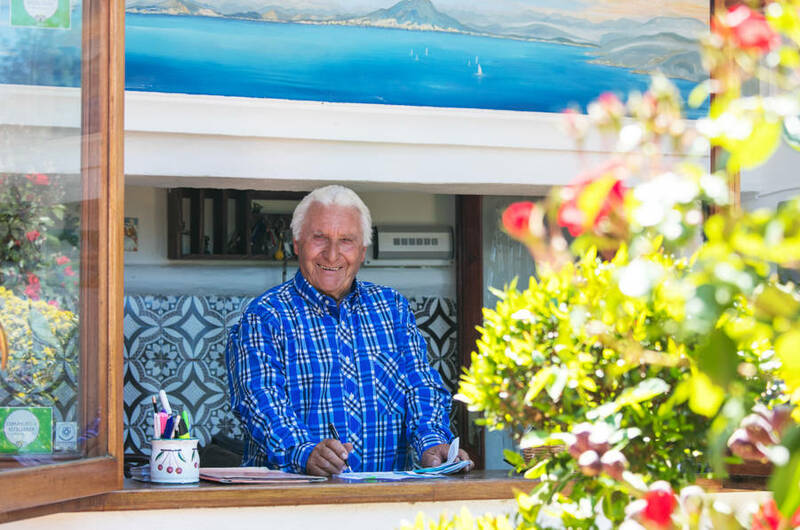 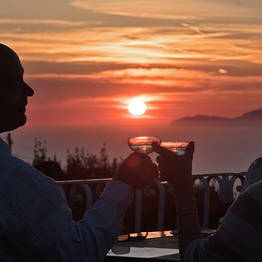 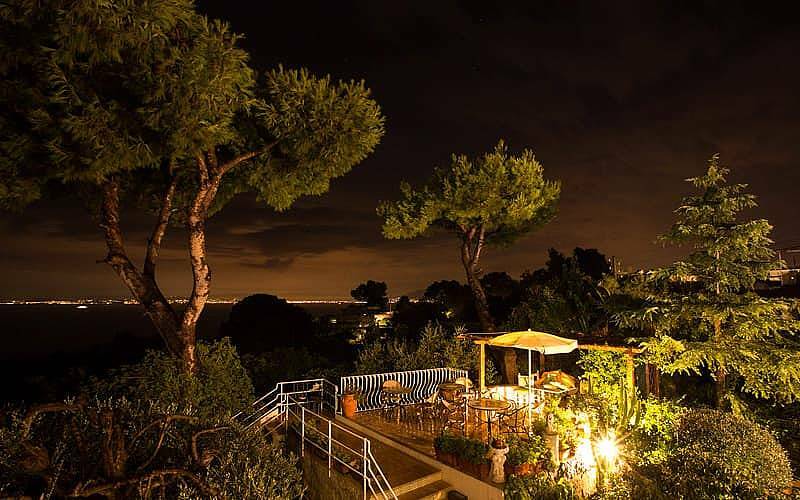 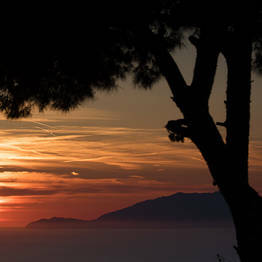 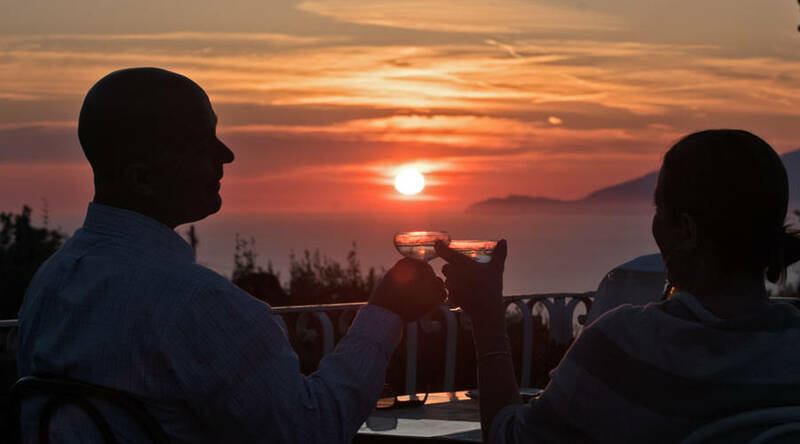 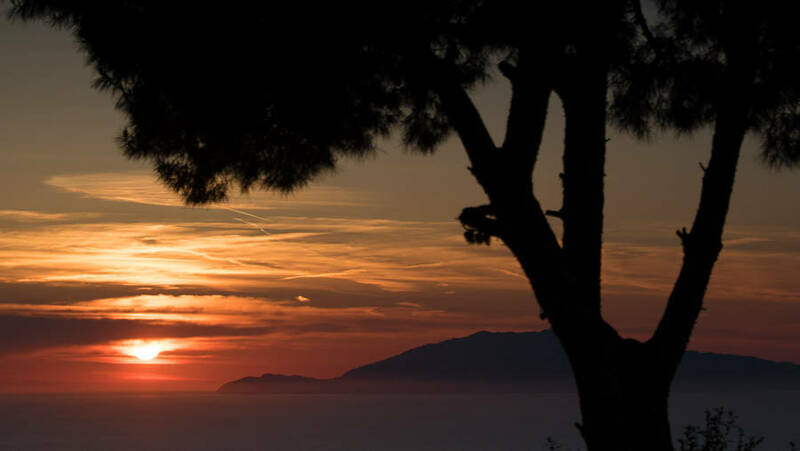 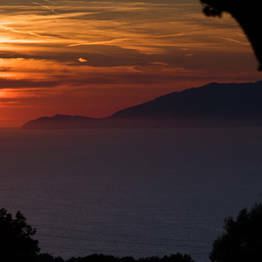 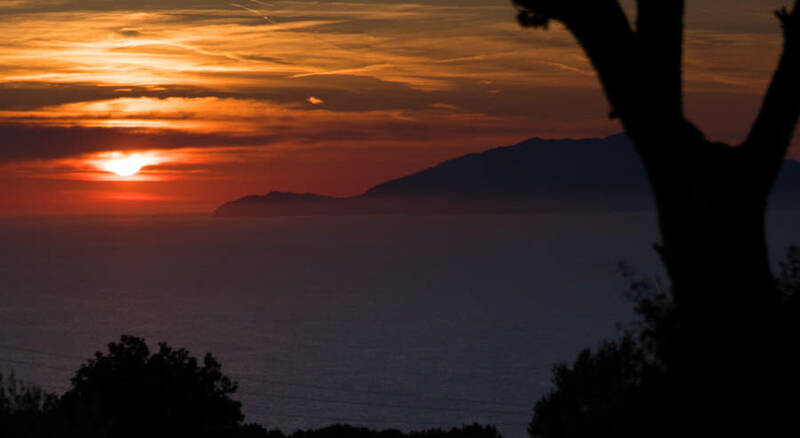 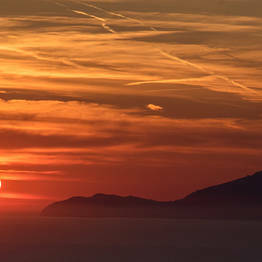 If you are looking for a bit of nightlife, the Giardino dell'Arte is just a few minute's walk to the center of Anacapri and the bus stop for routes to Capri town. 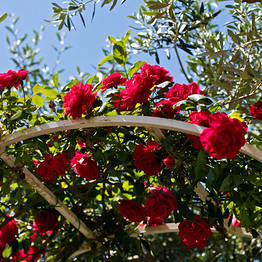 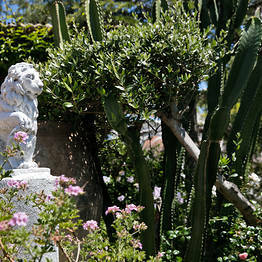 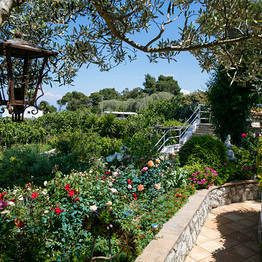 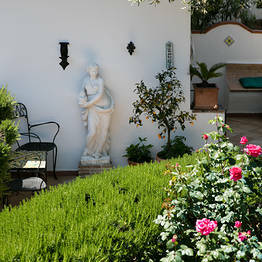 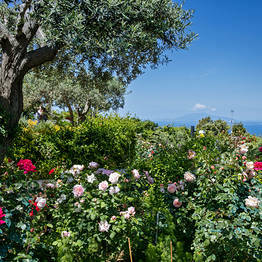 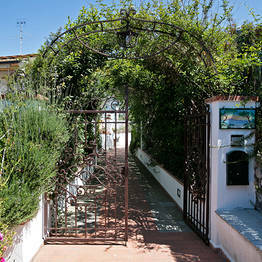 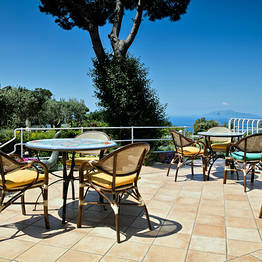 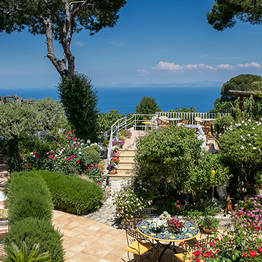 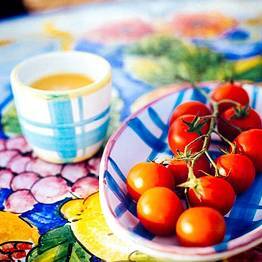 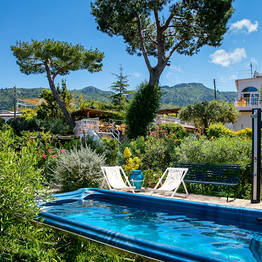 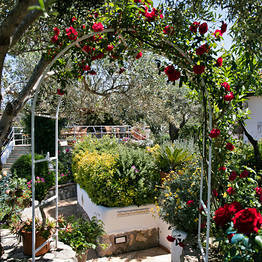 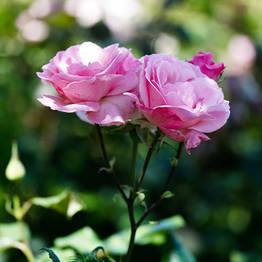 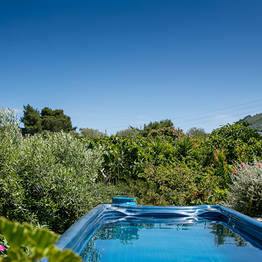 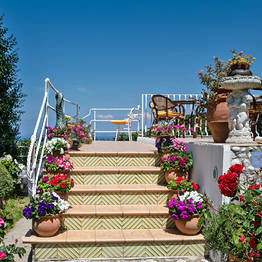 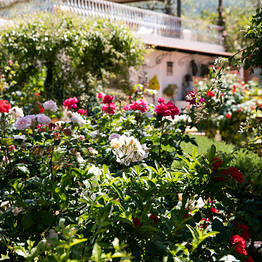 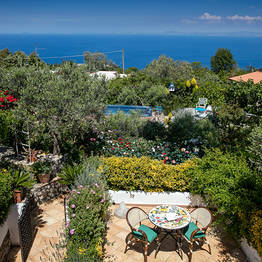 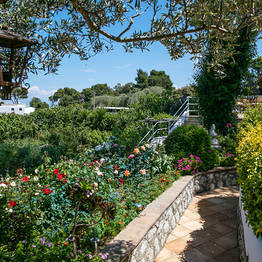 Book Il Giardino dell'Arte on Capri.com now with no additional booking fees.